I know that not having a boyfriend feels like the end of the world, especially at this time of the year. I also know that you won’t believe me when I tell you it’s not. You have a lot of exciting opportunities in your life already (and I wish I could tell you about all the adventures you are going to embark on in the not-so-distant future! ), but you still base a large chunk of your self-worth on your relationship status. For that, I’m truly sorry. Because of that, you aren’t particularly picky right now. In fact, you would likely allow someone to treat you poorly 80% of the time if you had their love and positive attention for 20% of the time. I know that sounds harsh, but over the next few years, you will ignore a lot of red flags and accept some pretty harmful behavior in order to avoid being alone. You will receive flowers and chocolates on Valentine’s Day, but the person who gave them to you won’t necessarily be that best friend and support system you need and deserve. By getting into a relationship mainly for the sake of being in a relationship, you stop trusting your inner voice and start accepting things that you should know in your heart are not okay. By muddling through something that doesn’t make you happy, you end up breaking your own heart and putting a strain on other close relationships in your life. I wish I could shield you from some of the bad decisions I know you’ll make over the next few years, but I truly believe that what you’ll learn from them will only make you stronger and more resilient. Still, that knowledge doesn’t make a toxic relationship any less toxic, and knowing what I know now doesn’t mean I can just turn back time. I’m writing to you at 25 now, and (spoiler alert!) we’re single again. Valentine’s Day is in just four days, and the beautiful flowers in my kitchen are not from a secret admirer; they were just a gift I bought myself a few days ago. I wouldn’t mind being in a relationship again, but now that I have a clearer picture of what I want, I’m not willing to settle for less than I deserve. I’m not spending Valentine’s Day alone — I’m spending the long weekend with loved ones, and I couldn’t be more excited. I do things because I want to do them, not to earn someone else’s approval. I spend more time creating fun memories with old friends and cultivating relationships with new ones. For now, please be kind to yourself and remember that no situation is permanent. Enjoy your single time, learn from the rocky relationships, and appreciate the good times. Don’t let your friendships fall to the wayside. Remember that you deserve a lot better than you often allow yourself, and never allow fear to strand you in a harmful situation with no way out. Happy Wednesday! 🙂 Hope everyone is having a fabulous week. In my little world, I’m working on crossing a few more items off my 25 at 25 Bucket List, applying for graduate school, and figuring out some exciting upcoming travel plans. What have you been up to? As always, feel free to share your favorite recent links or plans in the comments section below! This couple left their corporate jobs, traveled the world, and moved to Spain. It was interesting to read their interview about why they decided to do it! In case you haven’t made your plans yet for the new year, here is an adorable illustrated list of 50 things to do in 2016. Disney fans: Take a look at the concept art for your favorite Disney animal characters! The Warner Bros Studio in London is now inviting people to spend Valentine’s Day in the Great Hall at Hogwarts! Best date plans ever — if someone takes you there this Valentine’s Day, you should marry him or her on the spot. A sloth in Ecuador got very nervous about crossing the street, so these cops came to rescue him. The pictures are so sweet! Also, on the theme of cute animals: This K9 puppy still doesn’t fit into his vest! Check out the U.S. presidents when they were “young and hunky.” The commentary on this site and its many lists will crack you up. Also, can we take a moment to appreciate Rutherford B. Hayes? Whether or not you agree with his politics, Bernie Sanders has the best 404 page on his website. In case you missed it, check out my turmeric scrambled eggs recipe! Pinching pennies? Here are a few ways to stay frugal while still having fun this weekend! This old gem from The Black Keys. Hadn’t heard it in forever but lately I can’t stop listening! The new Larabar commercial set to the song Little Boxes. It is Larabar’s first TV commercial and it definitely caught my attention when it aired Monday! The Psychopath Test by Jon Ronson. I couldn’t put it down. Room by Emma Donoghue, my latest read and another great page turner. This sweet and savory blueberry tortilla recipe from Stupid Easy Paleo. Yum! What are your favorite links from the week? Share your latest finds in the comments below! Hope everyone who celebrated had a wonderful Valentine’s Day or, for many of us, Day-To-Eat-All-The-Things! I’ll admit that my Whole60 went off the rails around the holiday, with a few nights out to dinner and more chocolate temptation than I knew what to do with. Thankfully, my junk food honeymoon period is reaching its end, and I’m ready to start trying new healthy recipes again. How did everyone else celebrate the holiday? Valentine’s Day is not just a time to celebrate romantic love, but to express kindness toward all. I loved The Yogi Movement’s article on random acts of kindness and simple ways to be a little nicer around this time of year. Jane Austen fans will enjoy Sarah’s take on Lizzy Bennet (Pride and Prejudice) if she had lived in 2015. It’s important to listen to your self care rhythm. Do you know if you have been listening? Speaking of self care, check out my five suggestions for how to “treat yo self” and make yourself a priority! I’m obsessed with this real fruit jewelry! Has anyone else purchased these? I think I’ll need to invest in a lemon slice necklace one of these days! If you’re planning to host any overnight guests in the near future, these are some great tips on how to prepare your home prior to their visit. For my paleo or food-sensitive buddies, make sure you avoid these five mistakes prior to traveling. Looking for tips on how to create a meal plan? Check out my article and download my free template for guidance! When you don’t know what to write about, try these suggestions. In honor of our #FloridaFreeze, I had to share this 1985 article about a two-year-old boy who was saved from the freezing temperatures by his puppies. What are some of your favorite links throughout the week? Well, lovebirds, it looks like Valentine’s Day is almost here! Unless you’ve been living under a rock for the past few weeks, you’ve probably noticed a lot of dating/relationship/Valentine’s Day articles across the Internet. This week’s Link Love is no different. In honor of the upcoming secretly-created-by-Hallmark holiday, enjoy some fun Valentine’s Day articles! As soon as our friends get engaged, it seems their engagement photos flood our Facebook news feeds! Here are a few of the more awkward engagement photos. 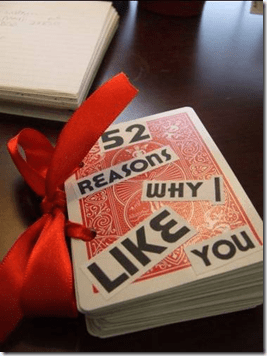 Impress your date this year with these Valentine’s Day facts. J.K. Rowling may have expressed her regret for pairing Ron and Hermione together, but this article is a fun defense of why the couple belongs together. One florist defends the decision not to sell roses around Valentine’s Day. I didn’t even know there was a controversy, but this was an interesting read! Save some money this Valentine’s Day with these freebies. I loved this article about some of the great romances in history. Finally, here’s a little throwback: I wrote this article about inexpensive ways to celebrate Valentine’s Day back when I was eighteen. Enjoy! 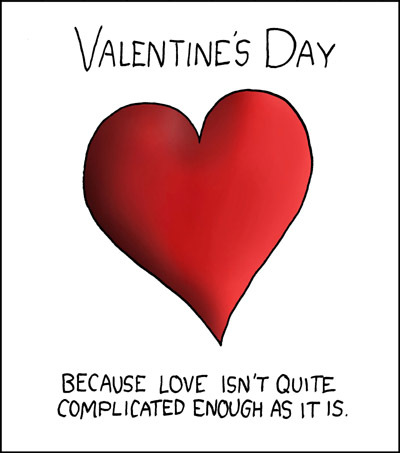 Valentine’s Day is finally here – as if you didn’t already notice the towers of chocolate in the grocery store, the lovesick couples engaging in the most obnoxious of PDA or the embittered singles who keep griping about how they just want this day to be over. Whether you’re in madly in love or simply doing your own thing, this last-minute Valentine’s Day Article Roundup will provide you with 10 links that will make you laugh, smile, think and maybe even tear up a little bit. There is a little something in here for everyone. Links are provided in the parentheses, and for last year’s roundup of articles, click here. 1. The Love Stories of 10 Intellectual Power Couples (Flavorwire). This list takes a look at some of history’s greatest minds and shows that like often attracts like. Sad that you’re single on Valentine’s Day? Don’t be. It’s because you haven’t met someone whose intellectual prowess and quick wit match yours… yet. 2. Ada Bryant, Robert Haire (The New York Times). When I came across this wedding announcement in The New York Times a few weeks ago, I couldn’t help but tell everyone about it (or at least post a link on Twitter and tell my roommates about it!). The announcement is for an elderly couple who fell in love after she painted a portrait for him. This one is so sweet that even the Valentine’s Day skeptics will smile. 3. Budget Friendly Valentine’s Day Ideas (Peanut Butter Fingers). 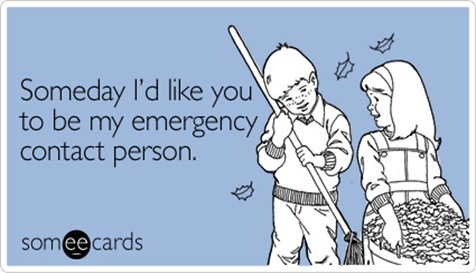 Still don’t have a gift for your significant other? Julie from Peanut Butter Fingers has compiled a list of thoughtful gift ideas based on her own experiences, her friends’ experiences and her findings on Pinterest. There are a lot of creative gifts on this list – and you can make them your own! 4. Very Definitely Not Dinner & A Movie: 50 Alternative First Date Ideas! (Gala Darling). These are “first date ideas,” but it doesn’t mean you can’t apply them to Valentine’s Day with someone you’ve dated for a while. So go to an art museum, hunt for photobooths, take a really long one-way walk to an unknown place – the ideas are all here! 5. How To (Really) Lose a Guy in 10 Days (Love Twenty). 6. Live Better: Fall in Love… With Yourself (Feather Magazine). No one can really love you until you learn to love yourself. Whether you’re single or in a relationship, this article talks about ways to treat yourself better and increase your own self-worth. Definitely worth the read for anyone! 7. 5 Ways to Reclaim Your Life After a Breakup (The Daily Muse). For the heartbroken readers, this advice piece from the Why Don’t You Ask Molly Ford? 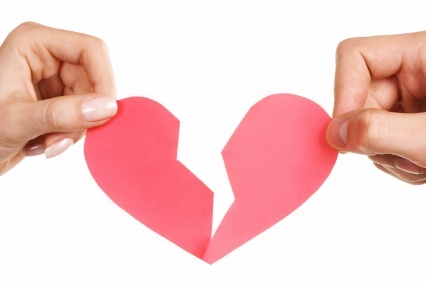 column discusses some of the ways you can pick up the pieces after a breakup. 8. The Top 100 Most Strange, Odd, Perplexing and Unintentionally Funny Vintage Valentine Cards EVER! (Mitch O’Connell). These vintage Valentine’s Day cards are some of the creepiest things I have ever seen in my life. Had I seen them sooner, I would have printed up a bunch and sent them off to all my friends! Be careful – I literally laughed out loud when I saw these late at night, and I honestly hope I didn’t wake anyone up! 9. Will You Still Love Me on Sunday? (Thought Catalog). Not so much a Valentine’s Day post, but this piece is all about loving someone even when it’s difficult and not so glamorous. Chelsea Fagan is one of my favorite Thought Catalog writers, and this post does not disappoint. 10. The Disney Prince Hotness Ranking (Buzzfeed). Any good articles you’ve read at this time of the year? Although Valentine’s Day is in a couple of days, some couples are not basking in the rays of relationship bliss. For those currently in the middle of breakups, mid-February is an especially difficult time to process your feelings, as the entire country glamorizes the idea of proving your worth to society based on whether anyone was willing to hold your hand in public on that day. So to help you all out, I’m bringing in a few song favorites and links – some sad, some upbeat – that could help cheer you up. And yes, most of these are very mainstream songs. Enjoy! Sometimes it’s your party and you can cry if you want to. This list is for the people who just don’t want to get out of bed, the heartbroken ones who keep replaying “what if?” scenarios in their minds, the people who need to let themselves feel the heartbreak a little bit longer. 1. Almost Lover – A Fine Frenzy (song). The lyrics “You sang me Spanish lullabies, the sweetest sadness in your eyes,” always stick in my head when I hear this song! The artist sings goodbye to a significant other that almost was. 2. California King Bed – Rihanna (song). I’m not the biggest Rihanna fan, but I wish this song had gotten more airtime when it first came out. This super sad song is all about a relationship at its end, being torn apart by emotional distance. 3. The Reason Why – Rachael Yamagata (song). This song is not really about a romantic breakup, but more about the artist’s breakup with her band and journey into working a solo act. Beautiful piano accompaniment with lyrics that you can totally apply to your own heartbreak. 4. Set Fire to the Rain – Adele (song). To be fair, every song by Adele is a breakup song. Set Fire to the Rain in particular always resonated with me as one of the sadder ones – although I’m sure we’ll be hearing more from her soon! 5. Hallelujah – Jeff Buckley (song). This is my favorite cover of Leonard Cohen’s Hallelujah, and I think it has such a profound sadness to it. After all, Shrek and Fiona listened to it when they parted ways in the first Shrek movie, didn’t they? If it’s good enough for Shrek, it’s good enough for any of us. Sometimes, we don’t want to host our own pity parties — instead, we want to move past the heartbreak and feel the freedom of a bad relationship shed. These songs reflect the strength we might embody when we overcome a difficult situation. 1. 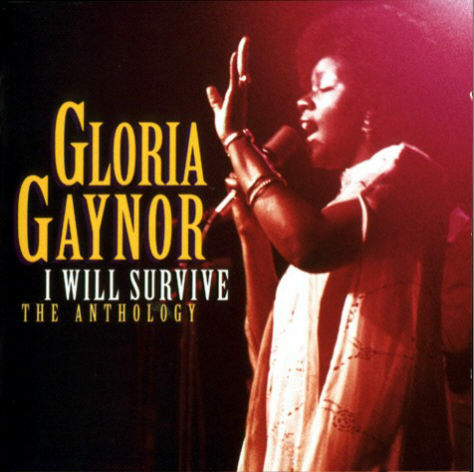 I Will Survive – Gloria Gaynor (song). How can you not love this song and immediately start dancing when it comes on? I Will Survive is the pre-Single Ladies anthem for single ladies everywhere. 2. Picture to Burn – Taylor Swift (song). Make as many jokes about Taylor Swift’s relationship status as you’d like, but this song – with its original country charm that many of her newer songs lack – easily gives We Are Never Getting Back Together a run for its money. Spiteful, yes, but totally fun to listen to! 3. I Look So Good – Jessie James (song). In this song, the artist sings about all of the good things the breakup has done for her – including a boost of confidence! Definitely gives the breakup a more positive spin. 4. Miss Me – Andy Grammer (song). I’ll admit that this one is a little sadder than the others, but the song does lean toward the sentiment that your significant other will miss you when you’re gone. For the still-sad-but-leaning-toward-empowered ones, this song provides hope of a happier tomorrow. 5. Happily Never After – Pussycat Dolls (song). This song is all about leaving an unhealthy relationship for good and knowing what you deserve – a very uplifting way to start anew. What are your favorite breakup songs? What songs have helped you get through some of your toughest moments? 1. Literary Mixtape: Romeo and Juliet (Flavorwire). As part of its “literary mixtape” series, Flavorwire attempts to discover what songs that present-day Romeo and Juliet would play on their (obviously shared) iPod. Not only does this playlist feature Taylor Swift and The Smiths (I had assumed I was the only person whose iPod had both artists), but it also pokes fun at the star-crossed lovers and provides plenty of laughs. As social media continues to play a significant role in the way we communicate and share ideas, so too does it allow researchers to gather new information about humans that they never before were able to observe. When Facebook users change their relationship statuses to “In a Relationship” or “Single,” they often post popular song lyrics to express their feelings more eloquently. (Admit it — you’ve done this before, too!) Check out the list to determine if you’ve been seeing these song lyrics around your News Feeds. Although no love story or romantic comedy is complete without true love’s kiss, we seldom consider where it came from and why. This article discusses the kiss from a cross-cultural and evolutionary perspective, and gives us quite a bit more background. If you’ve seen the trailers for the movie The Vow, then this story should sound familiar. In 1993, a young couple experienced a serious car crash, in which the woman (Krickitt Carpenter) suffered serious memory loss and could no longer remember her husband, Kim. However, through courting over time, the two managed to rekindle their love and renew their vows. If nothing else, the story will reaffirm your faith in a love that can withstand all obstacles. This article compares relationships to investments, and discusses the “risks” associated with dating from a financially-worded standpoint. Although it does not tell you how to literally manage your money, it does draw figurative parallels between dating and financial concepts, such as diversification and emerging markets. The article is not only clever but it also provides excellent advice on relationships. What were some great Valentine’s Day articles you read this year? Upon first glance, Blair Waldorf of Gossip Girl may not seem like the perfect role model. After all, toward the beginning of the series, the icy Queen B of the Upper East Side is primarily known for her sinister scheming, her self-centered nature and her lack of regard for the middle class. She wears headbands as a status symbol and holds court with her minions on the steps of the Met. But as the show progresses, Blair transforms into more than just a not-so-nice It Girl — not only does she show us her vulnerable side, but she reveals an intellectual, ambitious side of herself as well. She applies to Ivy League schools before ultimately attending NYU and Columbia, strives to become a fashion editor-in-chief and interns at a high-profile magazine in the city. Aside from Brooklyn’s Lonely Boy Dan Humphrey, Blair is arguably the only character in the series with real aspirations and a sense of purpose. The only thing holding her back? Her heavy, often narrow-minded focus on the men in her life, especially during the past two seasons. Whether it’s her tortured love affair with the nefarious Chuck Bass, her passionless engagement to a European prince, or her slowly evolving friendship-turned-more with Dan, Blair’s relationships have completely taken over in recent episodes, essentially turning her into a shadow of her former self. Although her character has matured considerably, she has not focused on school or her dreams in more than an entire season. Instead, she regresses to a feeble little girl who depends on her on-again-off-again-boyfriend’s love as her only way to survive. We’re all allowed to be a little irrational sometimes in the name of love, but when it consumes our lives so much that we have little else to think about, it has become a problem. We start to define ourselves by the relationships we enter rather than the collective experiences we have undergone and the goals we have set. We go from “Queen B” to “Chuck’s Girlfriend,” and we lose sight of our personal dreams and opportunities. The real Blair Waldorf will stop at nothing to get what she wants… except when Chuck is in her life. This is not to say that we should avoid relationships at all costs or become completely jaded and cynical about love before we turn 30, but we shouldn’t sacrifice every original thought we’ve ever had just so that we can be with someone. Instead, we should pursue relationships with people who are just as ambitious as we are, who are entrenched in their own personal growth as well. It doesn’t matter if you’re dating the bad boy, the prince, the bookworm, or the lacrosse captain. What matters is that you maintain your sense of self along the way and find someone who will support you even when your goals have nothing to do with the relationship. After all, aren’t you worth the effort? Happy Valentine’s Day, dear readers! You know you love me. XOXO.